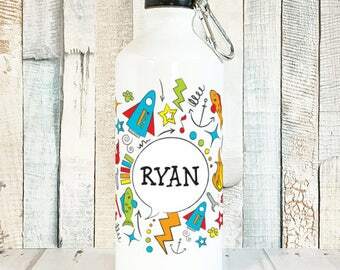 Our personalized water bottles for kids make the perfect gift for any occasion! 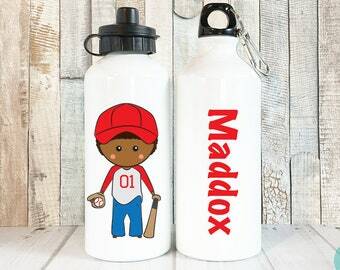 Make sure your little ones stay hydrated at school, summer camp, picnics and after school sports and activities. 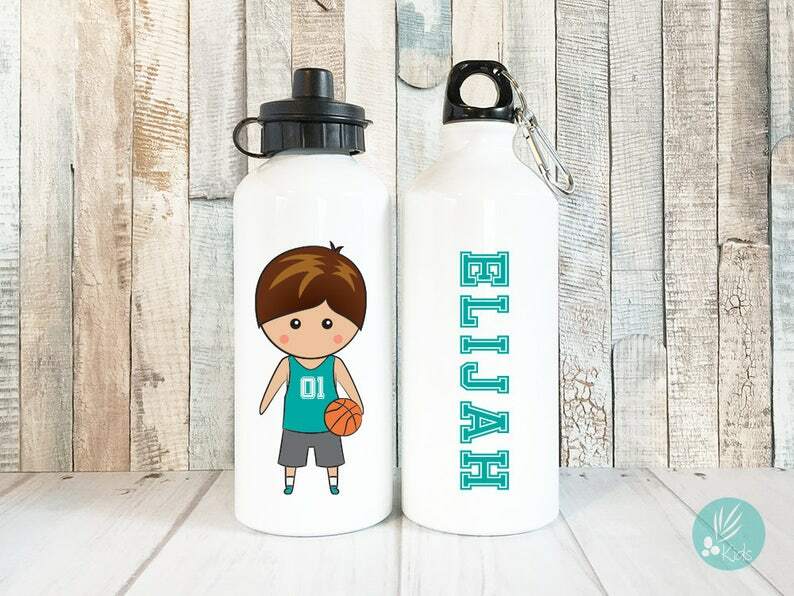 Personalize this cute basketball player to look like your little boy! We make it easy with our wide selection of hairstyles, features and colors. 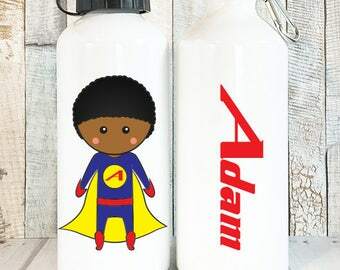 Choose from our super cool font options for his name. 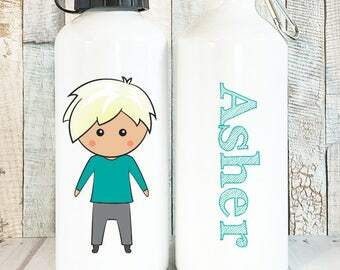 He will love how the character on his water bottle looks just like him! 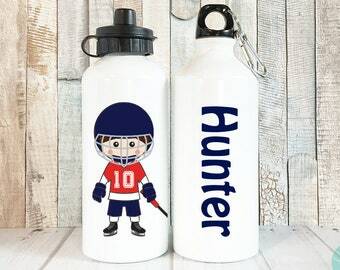 Need water bottles for the whole team? Ask about our team discounts! 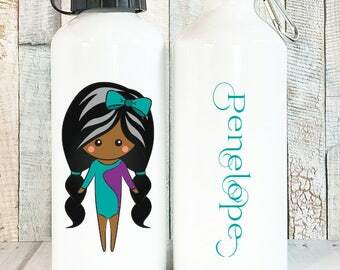 All of our characters are designed from start to finish by Amy at Juniper Wylde Kids, which allows us to offer so many personalized options. 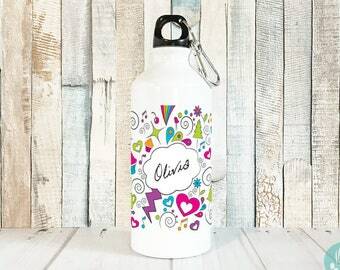 We never use clip art, because we want to offer you unique products that can't be found anywhere else. Don't see what you are looking for? Please let us know! 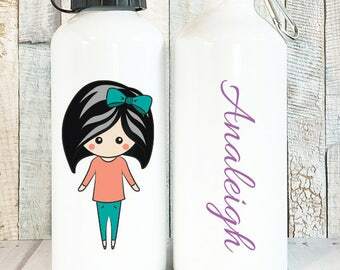 Small additions can usually be added at no additional cost (glasses, freckles, etc.). If you would like a custom outfit designed just for you, please get in touch! If you like the color combination in the listing photo, please say “Same as Image 1". 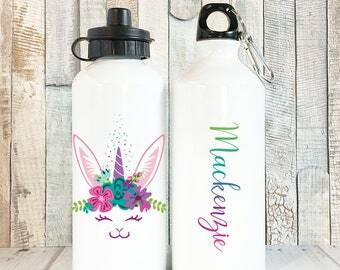 Please view our water bottle options in the images in this listing. All images may not be visible on the mobile app. Make your selection using the drop down menu during checkout. 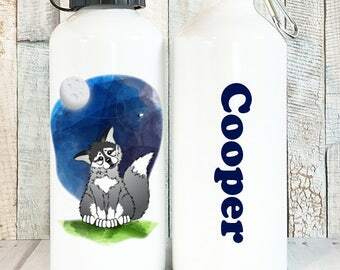 All images and designs in our shop have been created by Juniper Wylde Kids' designers. 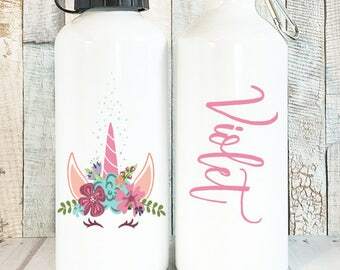 The copyright of this, and all designs in our shop, remains with Juniper Wylde Kids at all times, and cannot be reproduced in any way without our written consent. 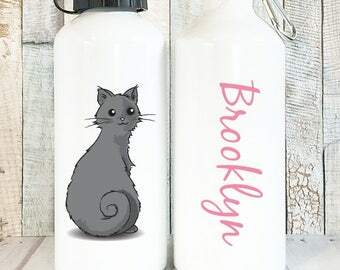 This bottle is absolutely perfect! It matches her and her company dance outfit! She absolutely loves it! Purchased 3 magnetized nameplates for use at the gym. 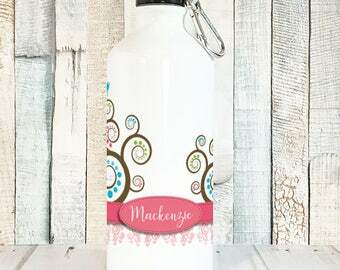 My coaches loved and appreciated their usefulness and fun, girly design. 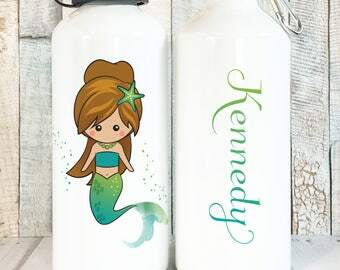 These are so cute!! My daughters will love them! 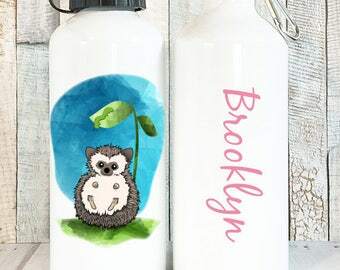 Do you offer products for grown ups?